Last November, during the Disney's quarterly earnings call Bob Iger stunned audiences with the news that John Lasseter would return to the director's chair to create, Toy Story 4. The film, releasing on June 16, 2017, was pulled together by none other than Andrew Stanton, Pete Docter, Lee Unkrich and John Lasseter - who were the driving force between the first three Toy Story features. What stage of production is currently Toy Story 4? We are table reading these days. 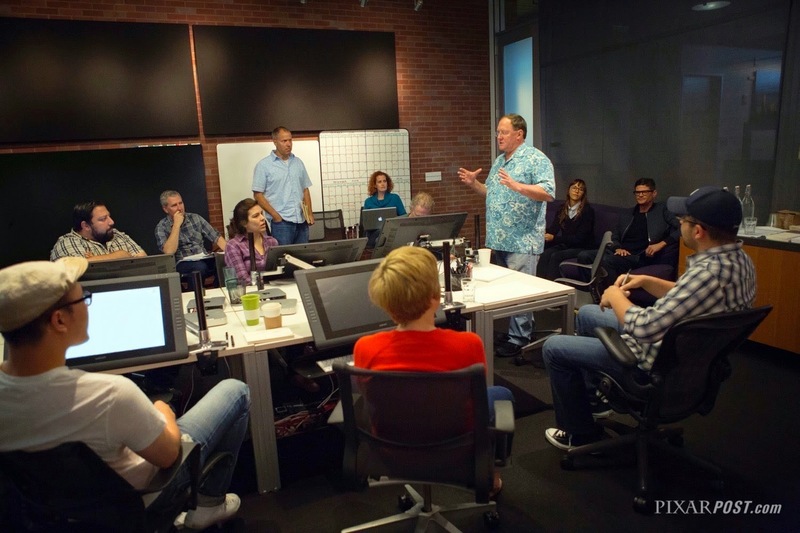 Usually, after working on the idea with the team of story artists and writers who complete the script, we call Pixar employees or external actors to sit and conduct a reading of the script. It is evolving very well. We are putting together a very nice story. It is not a continuation of the end of the story of Toy Story 3 (temporarily it is), but it will be a love story. It will be a romantic comedy. It will not have much focus on the interaction between the characters and children. I think it will be a very good movie. Honestly, we thought we might not make another film Toy Story, but in a brainstorming sessions we did, Andrew Stanton, Pete Docter, Lee Unkrich and John Lasseter had this idea - John felt the need to do it. The third movie was over in a beautiful way and completed a trilogy. I think this movie is not part of that trilogy. It is a separate story, which in turn we do not know if it will be continued. Never begin a project with that in mind. Many of the details from Jim's comments were known from the initial announcement back in November 2014 - but the new elements are that the story is not a continuation of Toy Story 3 and that the film will be a romantic comedy (previously just known as a love story). Additionally, we hadn't know that the movie won't have a lot of focus on the interaction between the characters and children. Be sure to join in the conversation with other Pixar fans on this topic and more on the Pixar Post Forum. Another questions that's been coming up is - should this be called Toy Story 4 if it's not a continuation of the previous film? What are your thoughts?